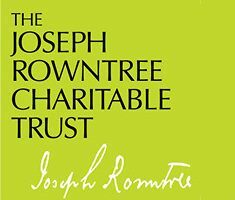 The Joseph Rowntree Charitable Trust aims to fund work which will contribute to the ongoing transformation of the Northern Ireland conflict. a vibrant, pluralist and activist civil society, responsive to the needs of the most vulnerable and able to hold the government to account. is likely to make a long-term, strategic difference. This includes work to secure and monitor implementation of human rights commitments by the state, work which strengthens a culture of human rights, as well as new initiatives on economic, social and cultural rights. This includes initiatives which strengthen the voices of marginalised groups in public policy-making, foster positive, non-violent approaches to expressing and managing political difference and which cultivate the independence of the community and voluntary sectors. This includes initiatives which encourage groups engaged in armed struggle to take steps towards exclusively non-violent strategies and to engage in comprehensive processes of transition to civilian life. The Trust is concerned primarily with work that promotes a shared understanding of the root causes of past violence, or which encourages government to implement initiatives to address the legacy of violence at a societal level. JRCT is particularly interested in receiving applications related to women’s participation in all of these areas. In addition to applications from Northern Ireland, it is open to receiving applications from Britain and the Republic of Ireland for work related to the above areas, and for work with an all-Ireland focus. Local work will be supported only where it is likely to have a wider impact, for example if it is testing a model which can then be replicated, or is addressing a local issue that has wider social or political implications. work related to the past which is primarily concerned with particular events during the conflict.